One of the biggest “challenges” of this list, is having to read books that I have had no interest in reading. This book is one of those. The Call of the Wild takes place during the Klondike Gold Rush and tells the story of Buck, a sled dog. We follow him on his journey from owner to owner and his fight against his wild nature. That’s really all you need to know, as it’s a short novel (less than 100 pages). Jack London is a talented writer, but this book was hard to read. It was quite intense with a fair bit of violence. Because of that, even though it was short, it took me a long time to get through. If you like dogs, you will probably like this book. I was not a fan. I am a little confused as to why it’s considered a “young adult” novel though. VERDICT: Because of how well written it is, I’m going to say it should be included in the list. This is, by far, my favorite Roald Dahl book (and he is one of my favorite authors!). I picked this book as a great escape after suffering through the previous one. I find it hard to believe there is anyone who doesn’t know the basic premise of this book, so I will be brief. Willy Wonka, a candy factory owner who hasn’t been seen in years, decides to put five “Golden Tickets” in his candy bars. This would allow five lucky kids and their parents a chance to tour his factory and receive a lifetime supply of chocolate. One of the lucky five is Charlie Bucket, and while he is not the narrator of the book, the reader gets to see more of his journey and background than the other winners. One of the reasons I like this book so much is because it’s just the ultimate fantasy. Tour a chocolate factory? Receive a lifetime supply of chocolate? Meet the famous Willy Wonka? Sign me up! I got completely lost in the journey and all of the wonderful things the characters encountered, just as I’m sure anybody else would. I really think anybody would enjoy this story! VERDICT: This should absolutely be included on the list, although, once again, I think it leans more towards being a book for kids, rather than young adults. **The original movie (1970s?) stays fairly faithful to the book, aside from the title. 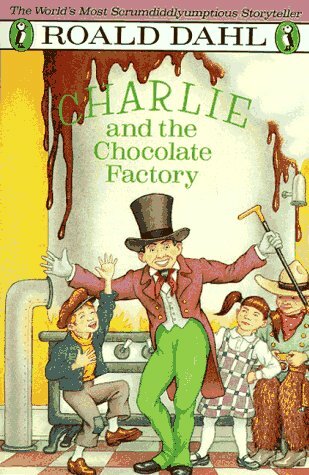 They did add a couple of scenes that didn’t happen in the book and made the Oompa Loompas songs much more palatable, as they were much longer and more mean spirited in the book. Also, the way the Oompa Loompas are described in the book is nothing like the way they appear in the movie. 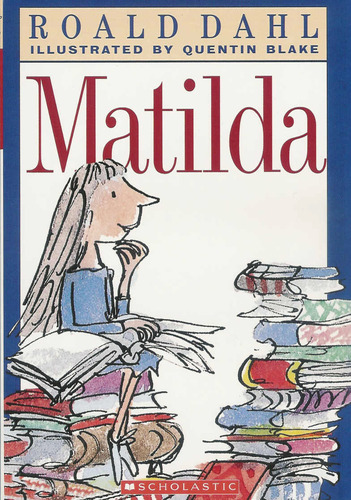 I don’t remember the first or last time I read Matilda, but based on my movie tie-in cover, I bought it sometime in 1996. Roald Dahl was one of my favorite authors as a child (yes, this book definitely stretches that “young adult” label), so I know I read this several times. Many of the details from this story were pretty fuzzy to me, so I was glad to get a chance to read it again. Matilda is a neglected child, whose parents are completely self-involved and downright mean to their daughter. She has to find ways to cope, so she spends time at the library reading tons of books. Once Matilda begins attending school, she is faced with an awful headmaster (Ms. Trunchbull) that is cruel to the students, especially the youngest ones. Without giving too much away, Matilda discovers a special ability that her teacher, Ms. Honey, helps her use to try and get revenge on Ms. Trunchbull. The first thing that struck me as I started the book is that the parents were much more vile than I remembered. Rather than being comically evil, they are just mean and terrible people! Actually, almost all of the adults in this book are awful, except for Ms. Honey. Dahl uses their names to help the reader immediately know who is good or bad. The aforementioned Ms. Honey is exactly as her name suggests, and Matilda’s parents are the Wormwoods. I love those details! ** I’ve seen the movie multiple times, and while it is a great movie, they add quite a few scenes that aren’t in the book, particularly near the end. VERDICT: This is a toss-up for me. It’s a good book, but I don’t know if I think it’s one of the best of all time, especially when a superior Roald Dahl book also made the list. Read it and find out for yourself! I have a confession to make—for my entire life, I thought that this was an old-timey romance novel, and that is why I never had an interest in reading it. Look at some of the covers out there and tell me you don’t think the same thing! Turns out, the title is actually a scriptural reference to the Biblical story of Jacob and Esau. (Romans 9:13 is the direct verse). 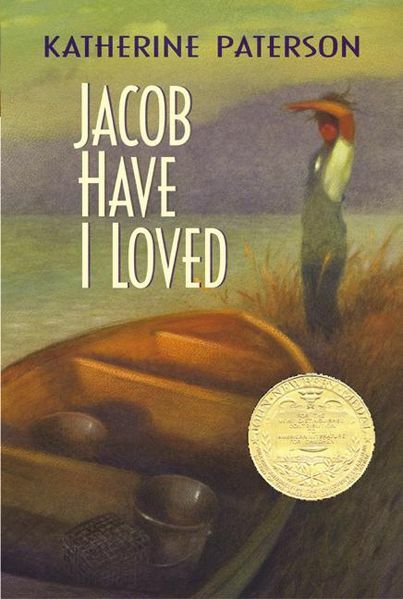 The book takes place in the 1940s on an island on the Chesapeake Bay. Caroline and Louise are twins, with Caroline drawing all the attention because she is prettier, more talented, etc. The story is essentially about Louise trying to step out from Caroline’s shadow and making an identity for herself. When the story begins, the girls are about 13 or 14, but by the end, about 10-12 years have passed. I found this story difficult to get into at first. There were a lot of fishing/crabbing references, as that was the occupation of the father. Louise and her friend, Call, helped as well. Since I know nothing of that world, I struggled through those chapters, mind wandering and all. About a third of the way through the book, Patterson introduced a character, “The Captain,” that was returning home to Rass Island after a long stint away. That livened up the plot for a while. As his part in the story lessened though, so did my interest. By the end of the book, I was pretty ready to just be done. For a “young adult” book, the amount of time that passed in the story was kind of odd. As I read about Louise in her 20s, as she became a mother and midwife, some of the passages and phrases just didn’t seem that appropriate for the age of the reader. This book also won a Newberry Medal, which I admit I am somewhat surprised by. VERDICT: Maybe I just couldn’t relate to this book (being the oldest child), but I could definitely have gone through life just fine without reading it. As such, this is one I would have kept off the list. What do y’all think? Have you read either of these books? Should they have made the list?